The Schneider 5.65x5.65" Classic Soft 1/5 Filter produces a classic Old-Hollywood close-up look, with image quality for current Hollywood needs. Would you like to achieve the same tonality as an old image of Cary Grant or Marlene Dietrich? Hundreds of Micro-Lenslets arrayed within each Schneider Classic Soft filter provide a precisely controlled soft image that is overlaid on a sharp, in-focus image. This combination diffuses the image while maintaining overall sharp focus. Schneider calls this Schneider In-focus Diffusion. 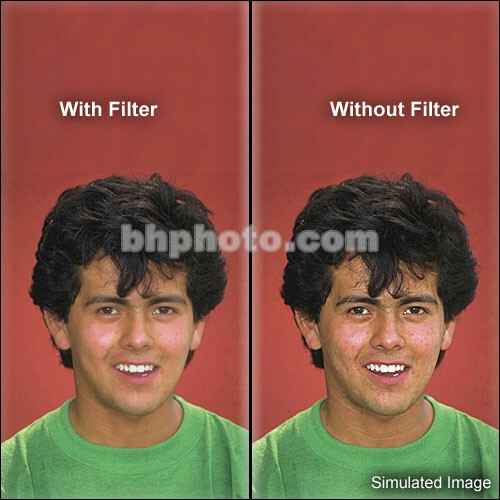 The number of Micro-Lenslets per square inch determines the image blending effectiveness of each Classic Soft filter. In the normal range of exposure, this filter imparts only a closely confined, very subtle glow to highlights; If large amounts of overexposure exist in a scene, like a "blown" window, Classic Soft filters add a stylish glow that keep the scene's contrast under control, while adding a romantic look. Schneider has developed a subtle and effective softening filter that can be used freely without fear of compromising the high-quality of modern lenses. As with all Schneider Optical Glass filters, Classic Soft filters are designed to be used in front of long lenses, singly or in combination with any other Schneider filters, to make filter combinations for an even greater range of creative control. Designed and manufactured to the extremely high standards that Schneider is known for - same strength Classic Soft filters can be switched between A and B cameras, or lost filters can be replaced, with no discernable difference in scene effects. Schneider Classic Soft filters are made possible by state-of-the-art optical technology and a proprietary Schneider manufacturing technique that produces a Micro-Lenslet array. Schneider filters are ground and polished to a precise flatness and plane parallelism.